Life is reported to have started in the oceans with the first creatures coming ashore about 3 billion years ago. With 71% of the Earth’s surface made up of ocean water humans may spend the next few millennia re-inhabiting it. 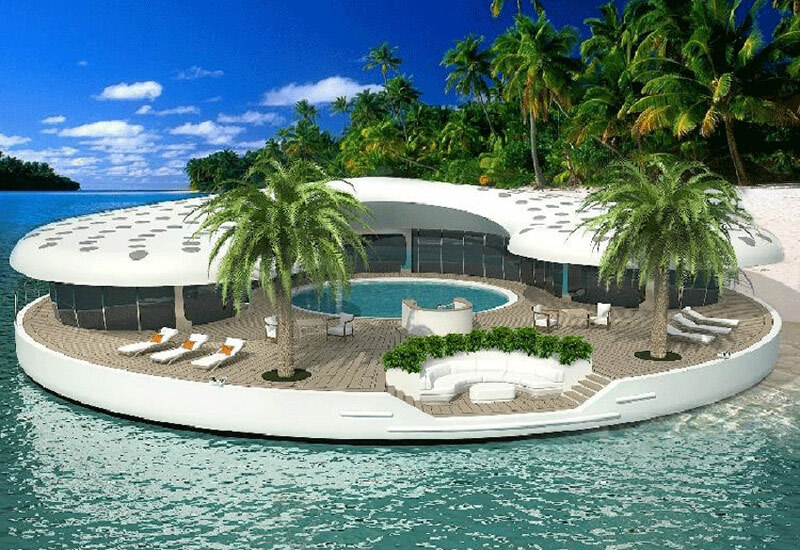 While most people will not be able to afford their own tropical island the next best thing might be a Floating Island Home or a Solar Powered Floating Home. RAFAA Architects has helped design the Solar City Tower for the Olympic Games in Rio de Janeiro scheduled for completion in 2016, a new Bike Share System in Copenhagen, and a 392-megawatt Solar Thermal Power facility in the Mojave Desert, California. The concept of a Solar Powered Floating Homes originated in the lakes of Germany where there was a keen interest in floating homes. RAFFA’s architects wanted to design a conventional house and combine it with swimming architecture. This called for the creation of a new typology for designing floating homes and the architects believed that living on the water needed to be rethought. The floating home is designed on two levels. The upper deck is the more spacious with 8.2 foot ceilings. The lower deck includes sleeping bunks, equipment and hatches. All beds couches and seats are retractable allowing multiple configurations. The living space includes a kitchen, a bathroom and two bedrooms. The design was created to reflect the undulating shape of waves on a waterfront or ocean beach. The windows which are also retractable provide wide-open views of the water. The overall feeling of being on a Solar Powered Floating Home is that of an intense nature experience. The current design is 16 x 48 feet. While there is no price yet RAFAA Architects have already received orders and manufacturing is expected to begin in 2013. A company called Orsos has designed a Floating Island Home which is 65 x 121′ and can accommodate 12 guests. It is a completely sustainable Island with baton of us power supplied by the solar energy system. Excess energy produced by the systems is stored in state-of-the-art batteries. The price tag is considerably more at around $5 million. 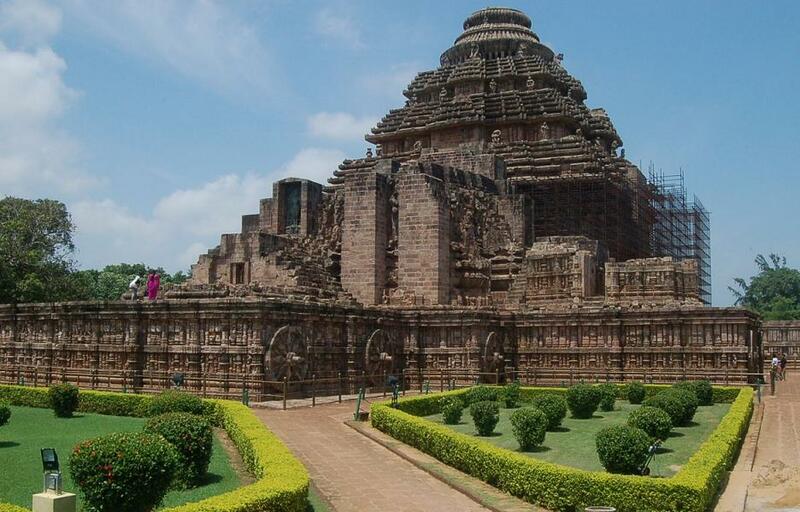 Is This Ancient Sun Temple the World’s Biggest Clock?